The QR class consists of extremely reliable and versatile high-performance single-shaft shredders and are all about the trouble-free shredding of recyclable materials. With these plastic shredders, operators can be sure of avoiding unscheduled downtime as these machines do what they were built for - the reliable shredding of plastic waste. Customers like to use the reliable and sturdy plastic scrap shredder in the processing industry for in-house recycling or regranulation. Similar to all UNTHA shredders, these small plastic shredding machines can be used as a stand-alone solution or integrated into complex systems. High throughput performance, high availability and a precisely defined end product guarantee high economic efficiency for the user. We offer a large selection of high capacity plastic shredders with various working widths, different cutter sizes and drive powers for all kinds of plastic waste. The plastic particle size can range from 15 mm to 100 mm and is perfect for further processing steps like washing, optical sorting, granulation or for feeding into extruders. In addition to the robust, universal cutting unit, indestructible body and reliable, completely maintenance-free pusher technology, the technical highlights of this product also include a resilient drive system that comes with a safety coupling. In contrast to standard plastic recycling machines, the QR class does not require a shaft stub, as the gears are integrated in the rotor. This results in a significant reduction of repair efforts. Yet another outstanding technological feature is the hydraulic service flap that allows quick and easy access to the cutting chamber for removal of foreign objects. The simple operation is based on a high-resolution touch-screen display, intelligent pusher controls, long maintenance intervals and the quick and safe access to all machine components. All these factors combined make the operation and maintenance of these small plastic shredders as easy as never before! Whatever you need for your plastic shredding we will always find the optimal configuration of the respective size reduction machine. The plastic shredders can be equipped with a rotor cooling system for materials with a low melting point. This makes them particularly effective with regard to throughput performance. A rotor wear protection option significantly increases the rotor availability with abrasive materials. For us, reliable customer support is a key priority. All of our shredders are supplied with a professional customer support service. *2-year warranty or 4,000 operating hours from the date of delivery, depending on which value is reached first. The QR plastic shredder has a lowerable screen corpus for time-efficient cleaning/replacement of the perforated screen. 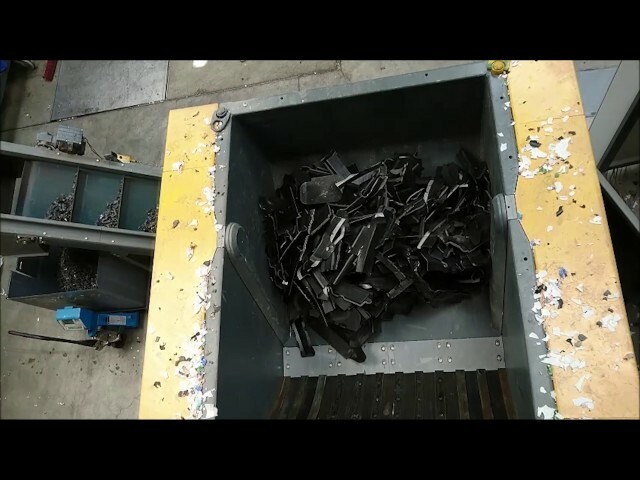 Cutting system of the small plastic shredder. 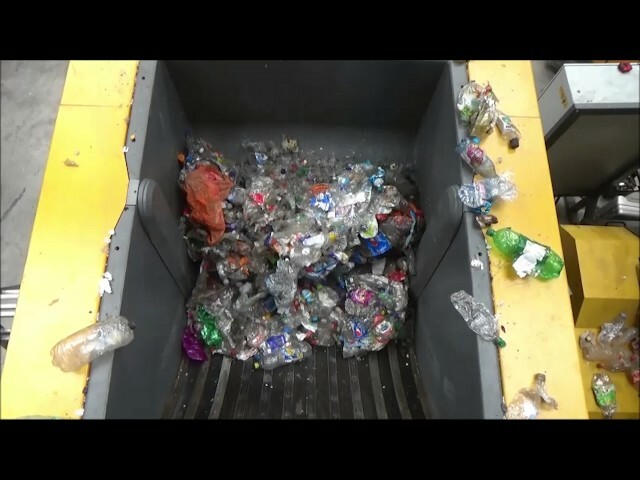 A look into the cutting chamber with the internal pusher system of the plastic recycling machine. Do you want to be 100% certain that we will configure the optimal shredding system tailored exactly to your application case and material? No problem! We will be happy to help you test your material in our facilities under real-life conditions!